The old Jewish cemetary has largely been detroyed. However, several tombs remain. On the actualy holiday of Rosh Hashanah, the pilgrims spend the majority of their time in prayer. At 11am the majority of the pilgrims come into the streets to recite the Tikkun Haklali, a combination of 10 pslams. The prayer serves as a sign of repentence. The prayer, along with acts of charity, are an essential part of the pilgrimage. 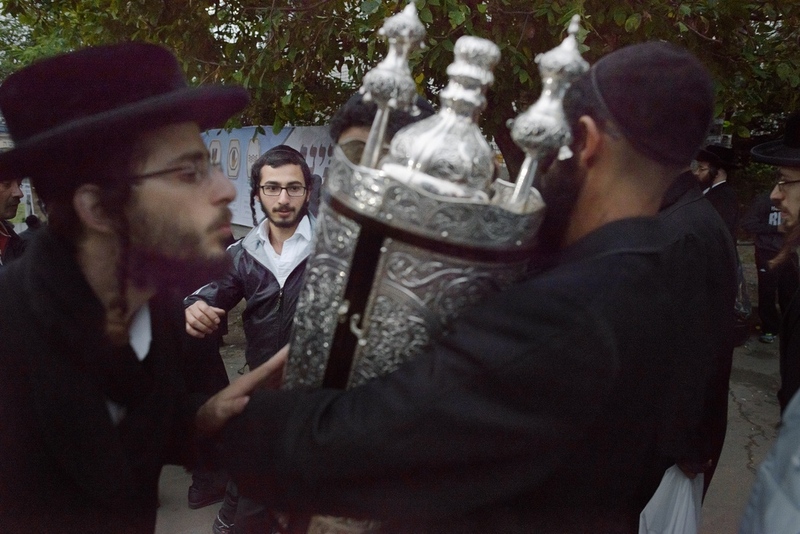 Pilgrims kiss the Torah as it is carried down Pushkina Street. 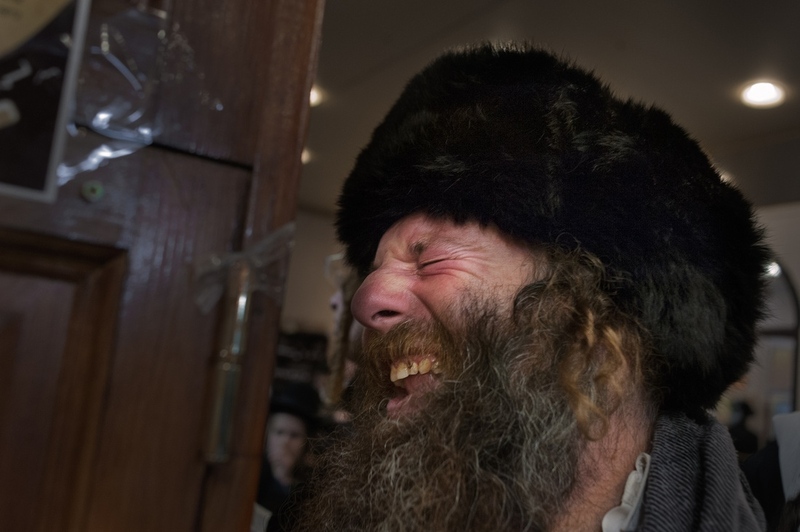 A Hassidic man prays at the tomb of Rabbi Nachman. Over 30,000 Jews of various backgrounds come to the tomb for Rosh Hashanah. 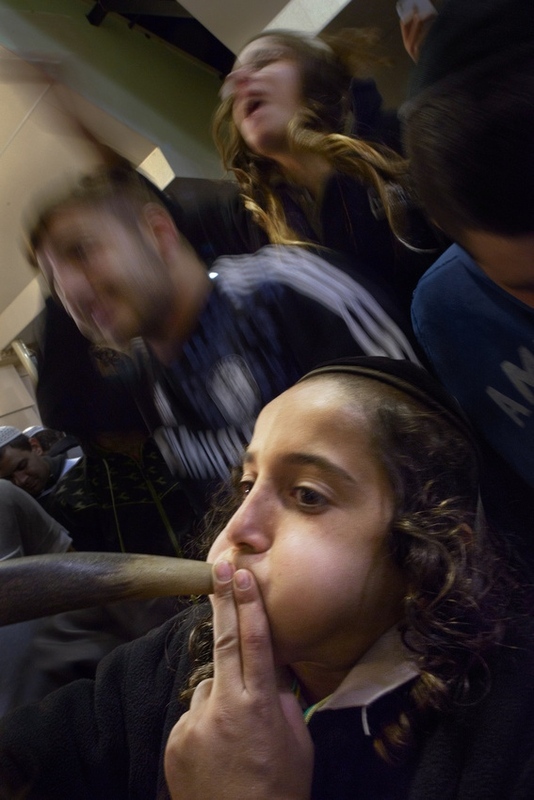 A boy plays the shofar in the tomb of Rabbi Nachman. The pilgrims believe that acts of charity and specific prayers at the tomb on Rosh Hashanah help bring forgivemess on the day of atonement, Yom Kippur. The forgiveness they will recieve is cause for celebtration. 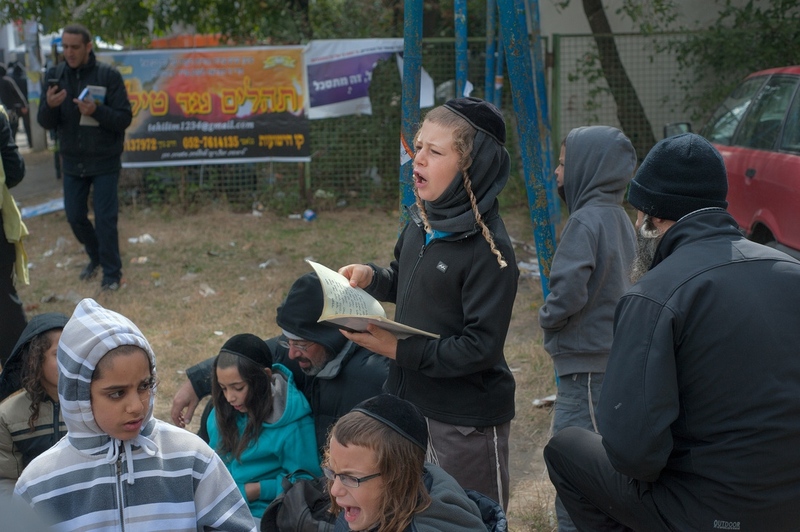 Community outreach groups bring kids having behavior problems to Uman. The hope is that the joyous spirit of the holiday will help bring them closer to the religion. A boy recites prayers in a playground. 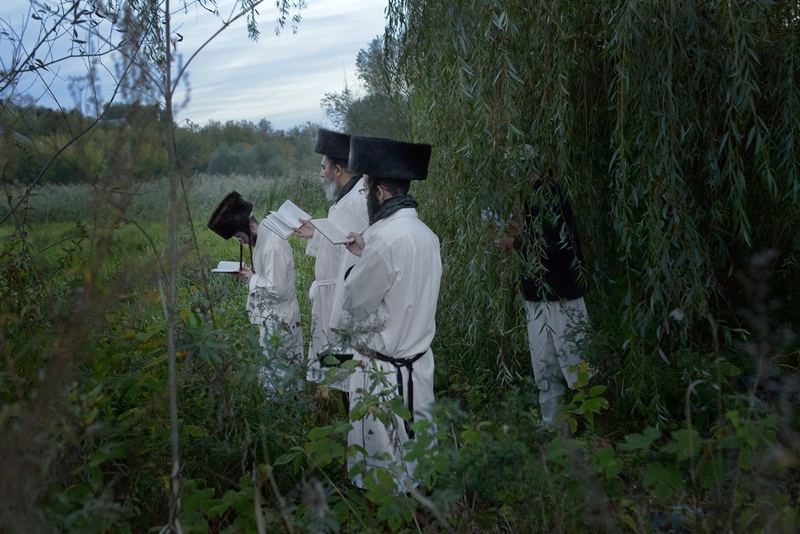 The Uman pilgrimage becoming a father and son tradition. 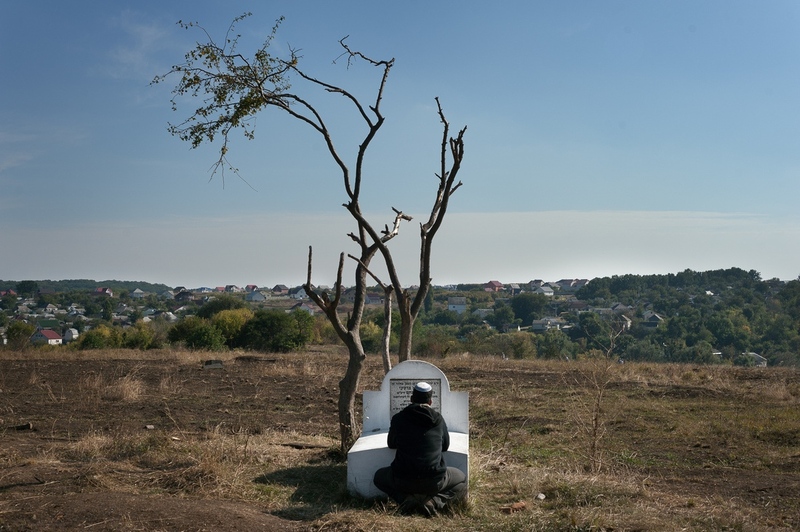 A man prays at the outside wall of Rabbi Nachman's tomb. 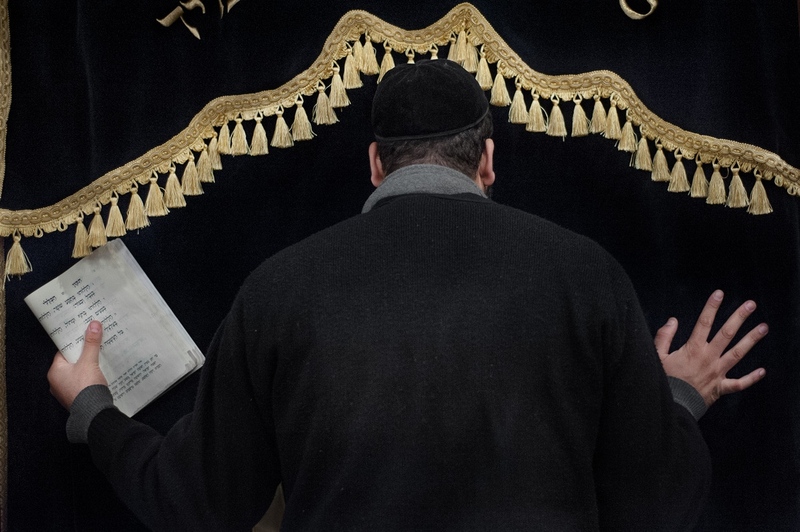 Many religious Jews face the wall when they pray to help block out distractions. Giving charity is an essential part of the pilgrimage. 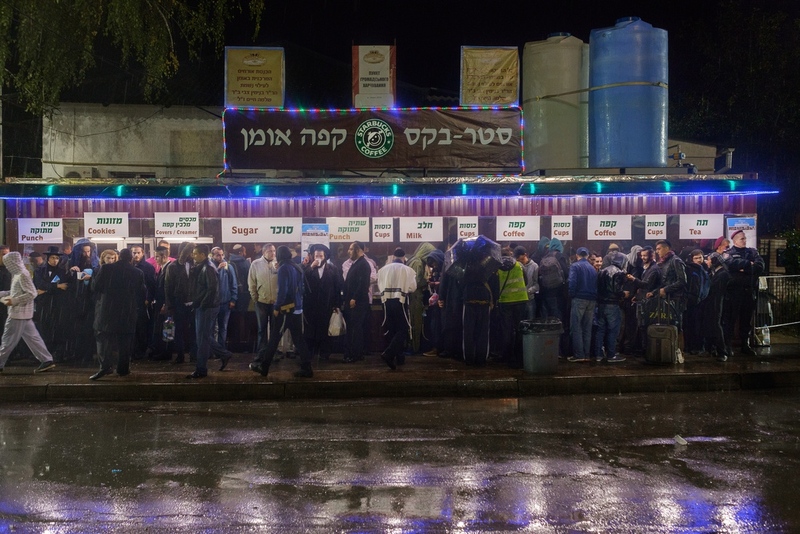 Many pilgrims come to Uman without a place to stay, money for food, or a return ticket. Free coffee and tea is provided to the pilgrims by benefactors from the US. 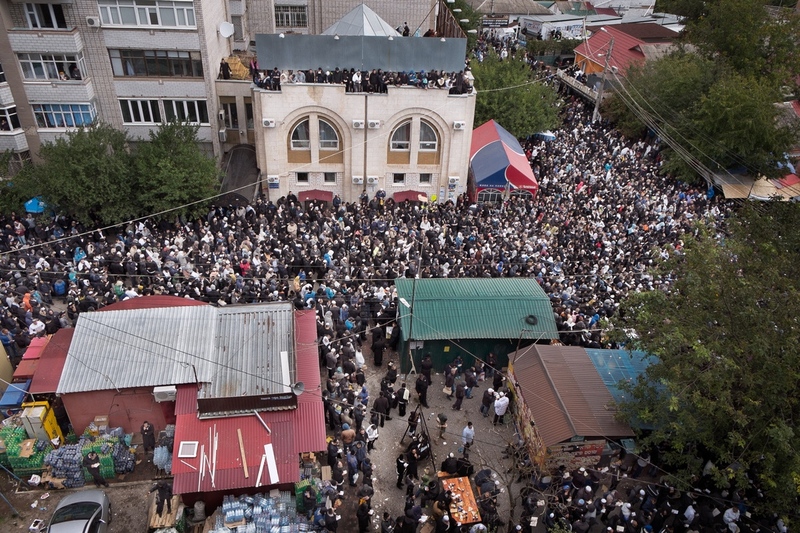 The streets of Uman are busy thought the night. 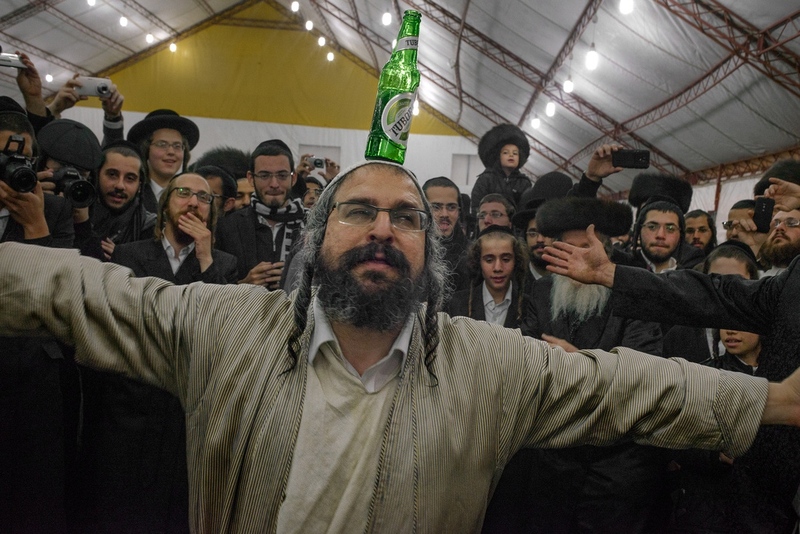 Rabbi Motta Frank, an influential Rabbi, celebrates on the final night of the Uman pilgrimage. 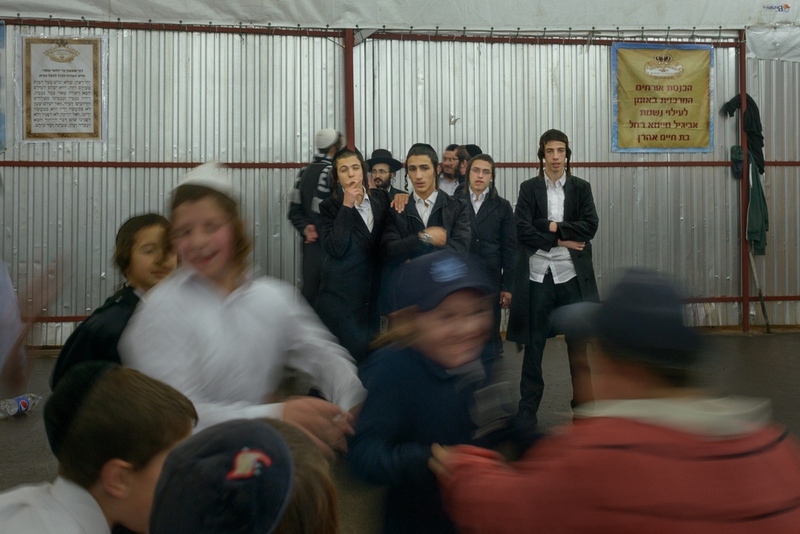 Breslover Hassidic Jews dance to klezmer music after Shabbos ends. This is the final night after of a weeklong pilgrimage to the grave of Rabbi Nachman for Rosh Hashanah. 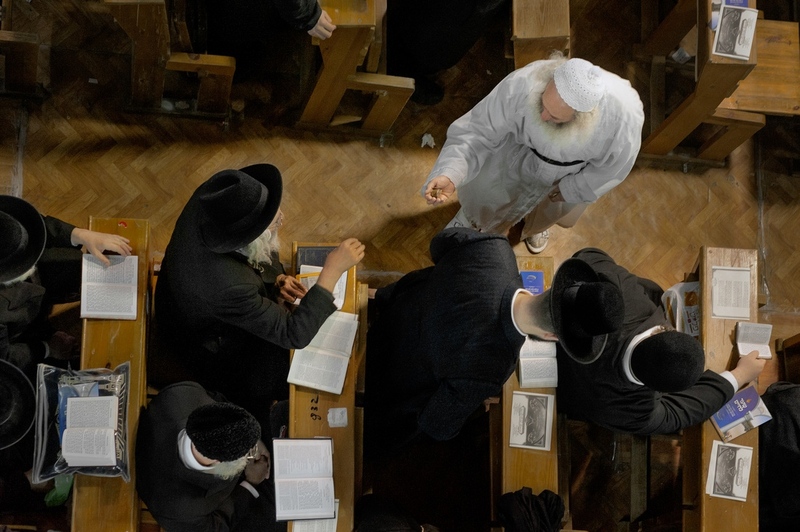 Every Rosh Hashanah nearly 30,000 Jews, primarily from Israel and the U.S., travel to the the tomb of Rabbi Nachman of Breslov in Uman, Ukraine. Nachman is the founder of the Breslover sect of Hassidism. 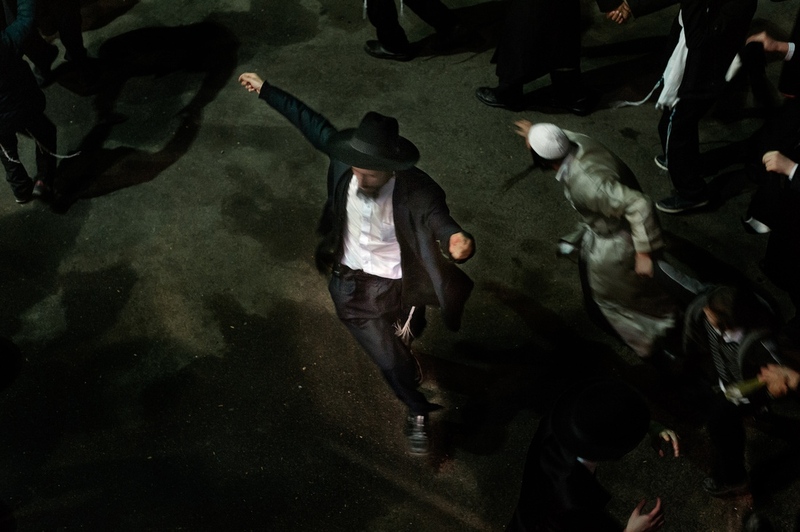 However, what makes the event unique is that people fro across the entire spectrum of Judaism attend. They believe that by undergoing the pilgrimage, saying the proper prayers, and offereing charity to other pilgrims will guarentee God's forgiveness on Yom Kippur, the day of atonement.